Hello Monday! Hope everyone had a great holiday. We had a blast taking the kids camping. And by camping I mean cabin with very minimal use of tents. Roasting marshmallows counts as real camping, no? 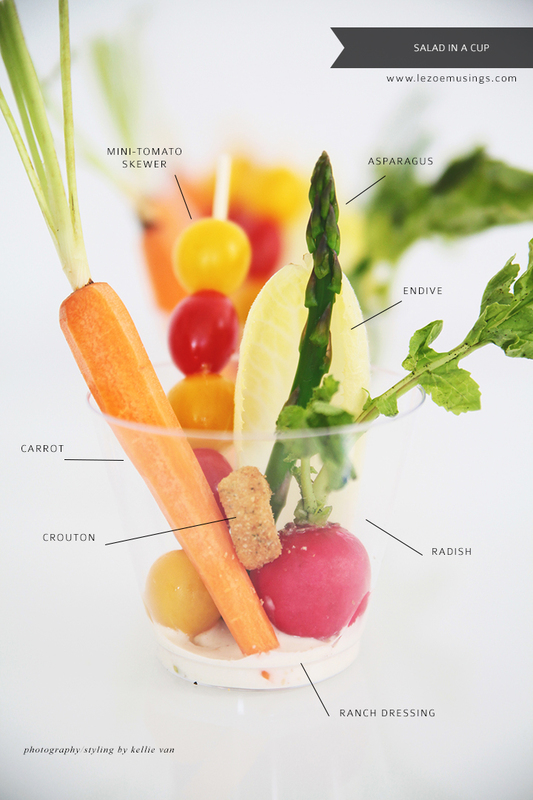 Anyhow, here’s an easy way to serve a totally mess-free, no utensils required kind of salad. This is great for summer entertaining. Healthy, yummy, pretty, and so so easy. Turn a salad into a chic finger food. Because that’s how we roll. Below are my salad ingredients of choice. Feel free to alter to your liking. Everything is served fresh and raw except for the asparagus which I quickly blanched. Plop everything into a plastic disposable cup and you’re all set! Super cute idea! Even add a chicken tender or a jumbo shrimp! Love this! 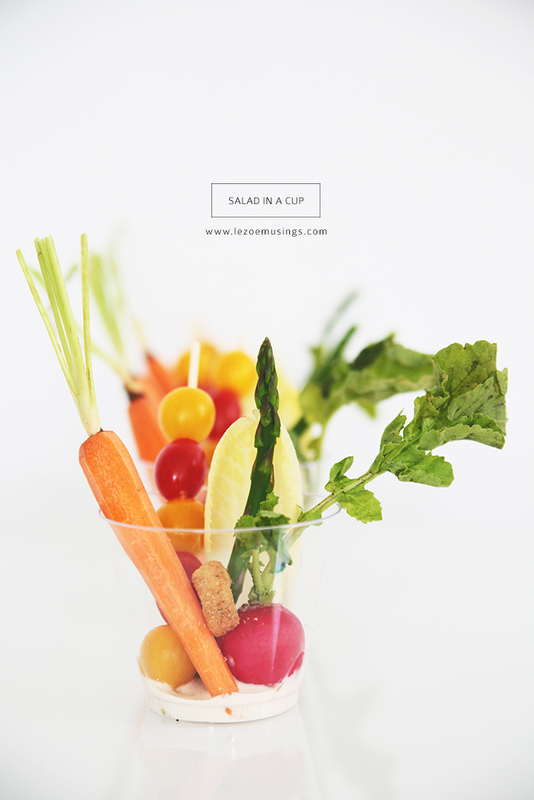 What a great way to make salad fun and appealing in a different way than usual. Can’t wait to try this!